The Vancouver Giants in conjunction with the Western Hockey League are pleased to announce that 2001-born defenceman Bowen Byram (Cranbrook, B.C.) has been named the WHL On the Run Player of the Week for the week ending January 13th. 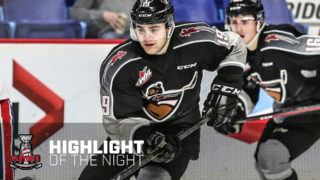 In two games last week, Byram registered three goals and three assists in a pair of Giants victories over Kamloops (7-4 on Saturday) and Victoria (3-2 on Sunday). 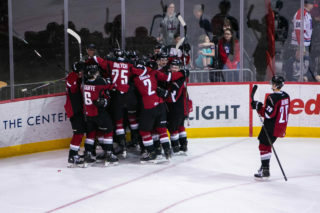 On Friday night Byram earned first star honours with a two goal, three assist effort, becoming the first Vancouver Giants defenceman to ever record five points in one game. He’s currently in-the-midst of a six-game point streak and has totalled four goals and seven assists in that span. His 39 points rank him second on the team in scoring and his 13 goals rank him tops among all WHL defencemen. Originally selected by the Giants third overall in 2016, Bowen Byram has already compiled an impressive local and international resume. In 2017-18 he was named Western Conference Rookie of the Year after producing six goals and 21 assists through 60 games. He added three goals and four assists for seven points in seven playoff games. Since November, 2017 Byram has represented Canada on three occasions. First helped guide Canada Red to a Silver Medal at the 2017 World Under-17 Hockey Challenge. Then in April, 2018 he suited up for Canada as an under-ager at the World Under-18’s. In August Byram played a huge part in Canada’s Gold Medal at the 2018 Hlinka Gretzky Cup. 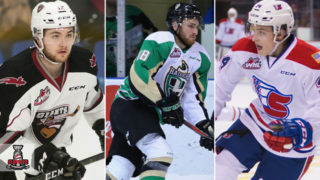 He is considered to be a top prospect for the 2019 NHL Draft which is taking place in Vancouver in June and later this month he’ll suit up for Team Cherry at the 2019 Sherwin-Williams CHL/NHL Top Prospects Game. 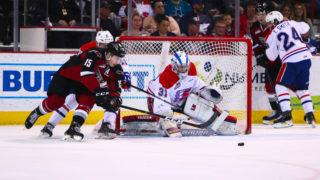 Byram and the Vancouver Giants return to action this week on Wednesday night down South when they clash with the Tri-City Americans at 7:05 PM. 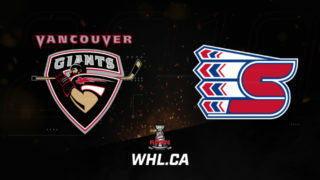 The Giants will also battle the Spokane Chiefs on Friday night at 7:05 before returning home Saturday to face Canucks prospect Jett Woo and the Moose Jaw Warriors at 7:00 PM.